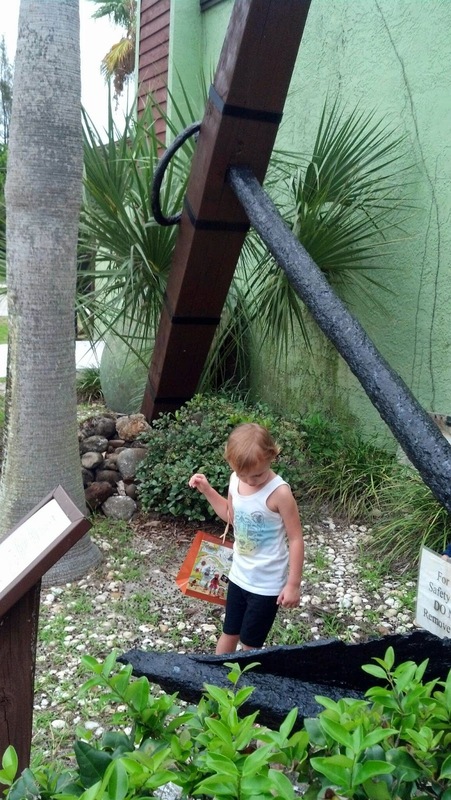 We concluded our pirate unit with another field trip. 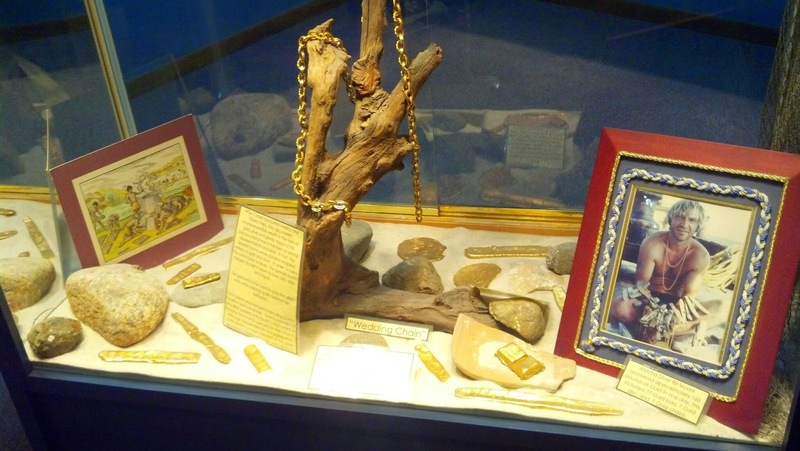 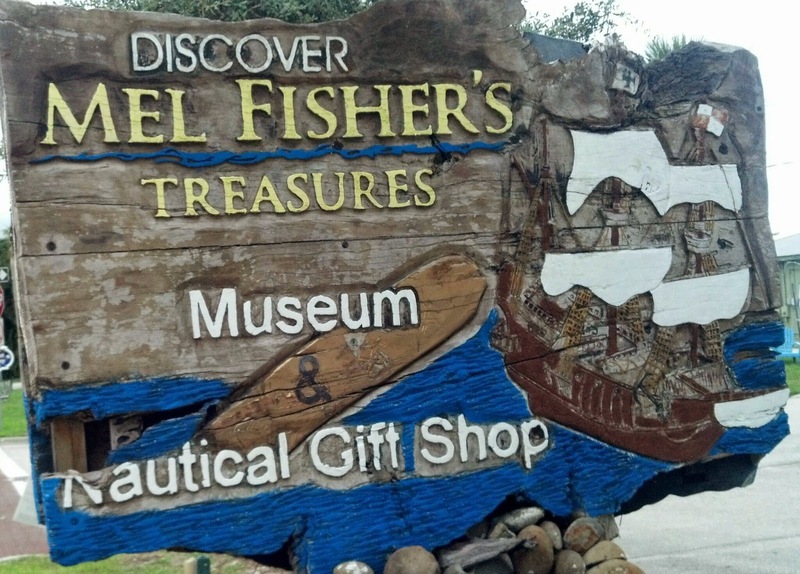 We took a detour on our way to Fort Lauderdale to stop at Mel Fisher's Treasure Museum in Sebastian, Fl. 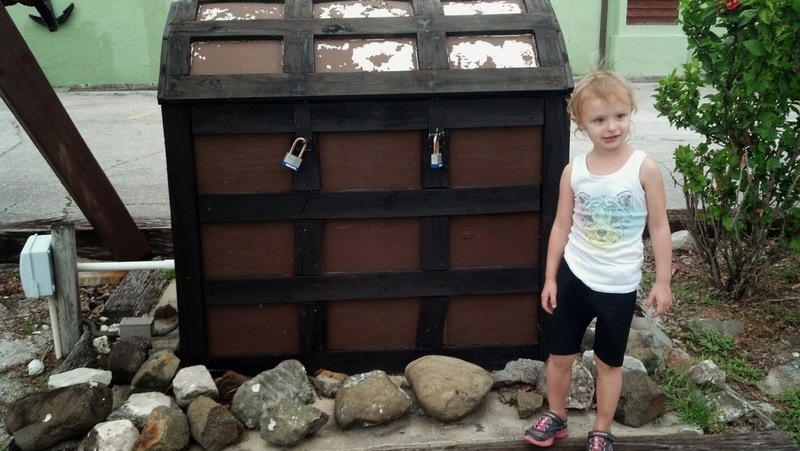 They have lots of authentic pirate treasure and some you can even purchase. 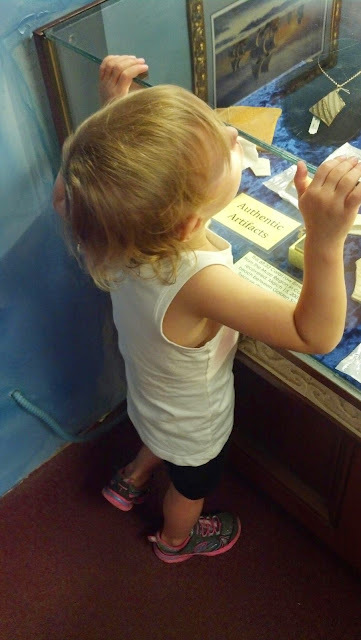 We kind of sped through the museum because its not exactly 1 and 2 year old kid-friendly. 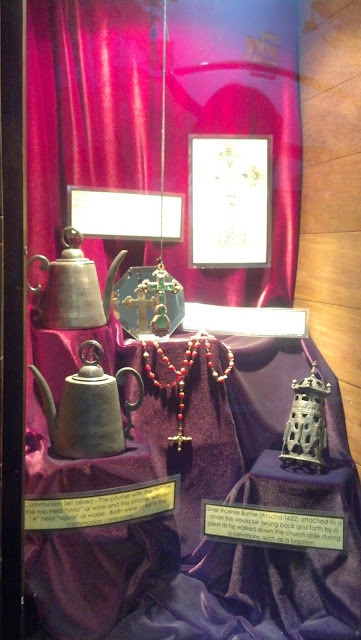 There are lots of glass cabinets and things I would never be able to pay for if we broke. 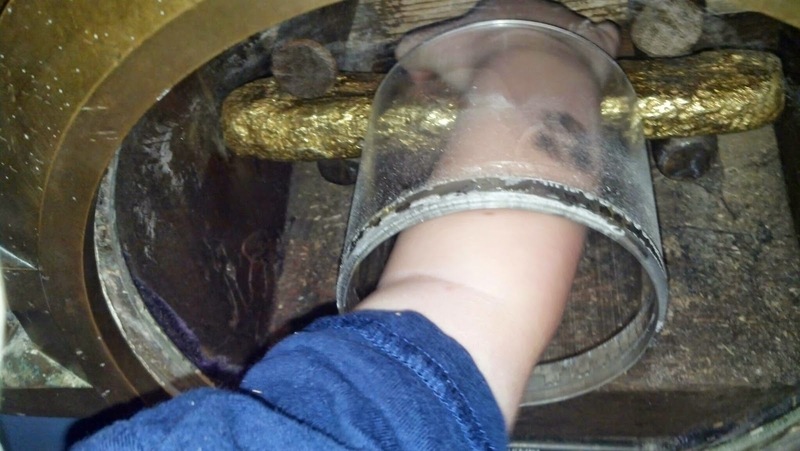 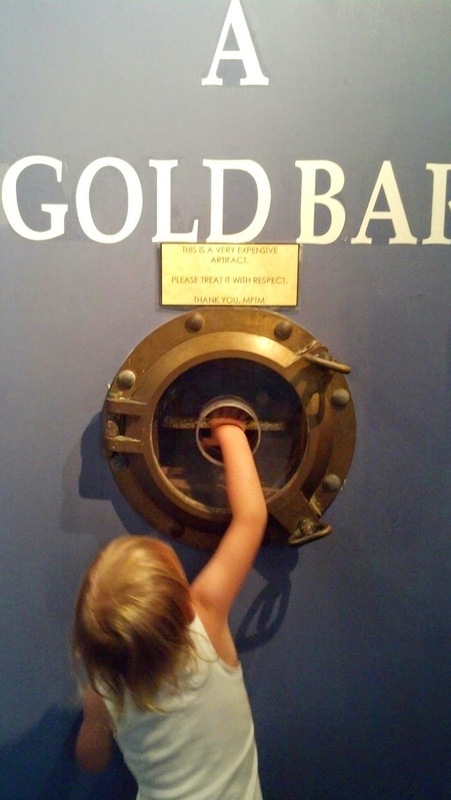 But we did get to touch a real gold bar and see some cannon balls and a cannon. There were some things that I thought were interesting and would have likes to look at longer. It was free for the kids and $5.00 admission for me, so worth the quick trip. 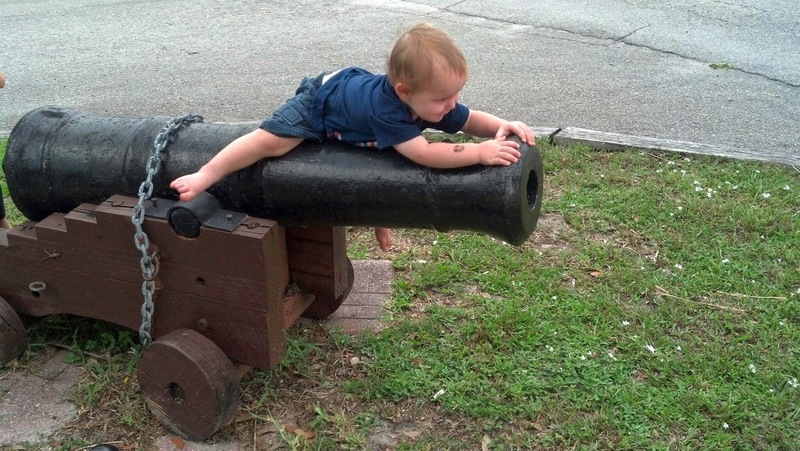 There are a few big things outside that are fun to get a photo by also.